This product can be used for conventional lighting, customers can according to need to customize different color temperature of 2700 k to 2700 k of the white light illumination. At the same time, can be adjusted lighting brightness, the adjusting range of 3% - 100%. White light maximum lumen is 650 lm, below 4000 k color temperature of maximum lumen is 600 lm. Can be equivalent to 60 w ordinary ball bubble lamp, energy-saving rate of 86%. 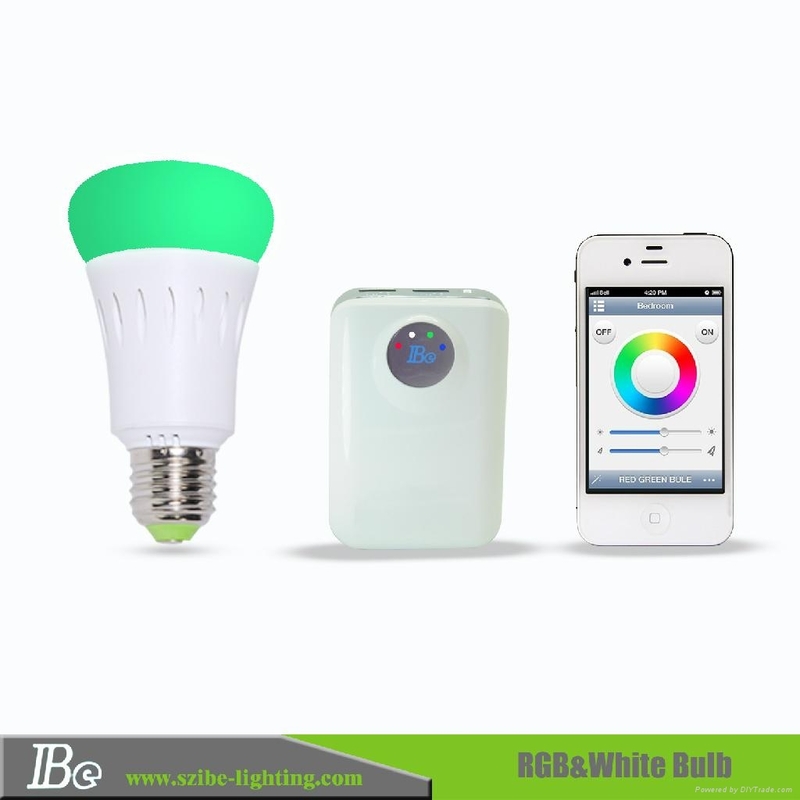 This product by the transformation of the RGB tricolor can sent 12 million kinds of colour, create all kinds of lighting space. At the same time, can be realized by controlling the more color transformation, single color flashing and automatically such as red, green, blue three color automatic transform function and the pure red, pure blue, pure green lighting function. Second, the user can be adjusted according to need color transformation and ? This product have night light illumination function, the night lamp lighting the lamp when power consumption 0.3 w. Night light lighting lumens value of 20 lm. The user can be set according to need any light open and close time.